Tintamarre is an uninhabited island located in a Marine Park off the Northeast coast of Saint Martin in the Caribbean. It’s a favorite spot for many local snorkel tour operators who go there for snorkeling with the turtles, which graze the seagrass bed in front of the pristine white sandy beach. Tintamarre is also a favorite mooring site for charter sail boats and the French side dive boats can be seen dropping off their divers on one of the many dive sites dotted around the island. 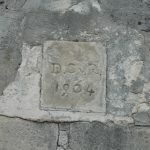 Tintamarre was not always uninhabited, in 1904 DC van Romondt settled on the island to farm cattle. Goats can still be found on Tintamarre, as well as the old farm house. 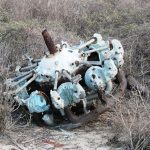 Another peculiar find is an airstrip dating from the Second World War and some remaining engines from a stranded airplane. 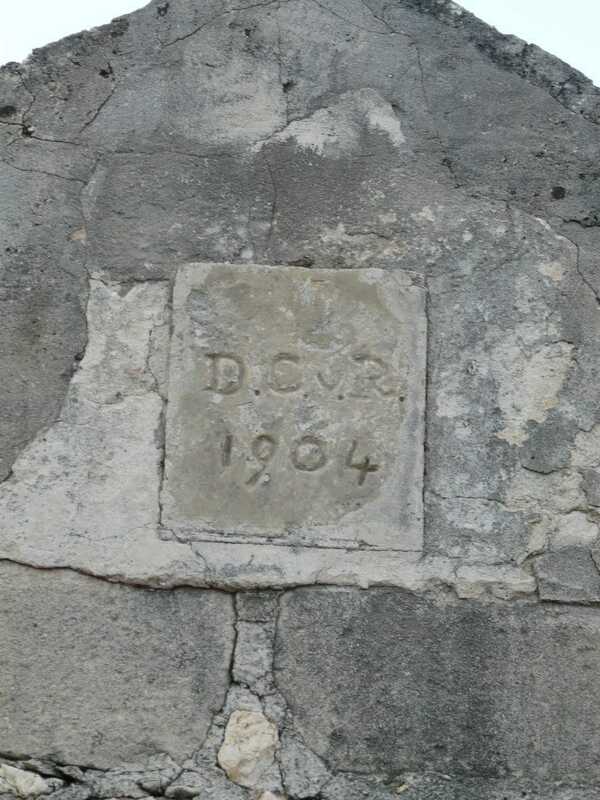 Come along on our History Tour if you’d like to hear more about Tintamarre’s past while overlooking the island from a viewpoint on St Martin. Click on the tabs below to discover what you can do on Tintamarre and how to get there! Martin camping is allowed on the beaches during Easter weekend. The Reserve Naturelle de St Martin however allows camping on Tintamarre year round. You will need to let them know you’re going camping though, you will then receive permission and an email with the reserve’s rules. 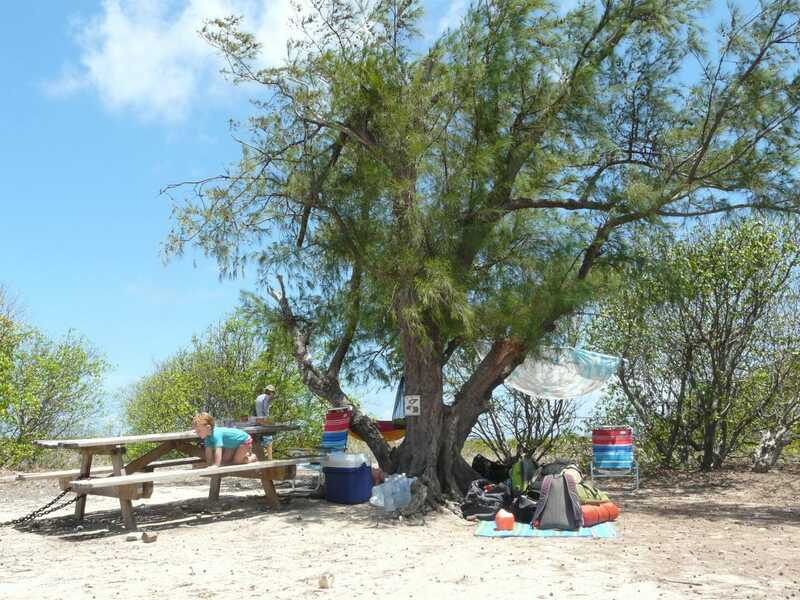 There are 4 camp sites which all offer shady trees, a picnic table and simple barbecue facilities. There is no fresh water on Tintamarre, so you’ll need to bring plenty of that yourself. Same for food in cooler boxes and charcoal or wood (you’re not allowed to pick up wood from Tintamarre, it’s all protected, even the dead branches). The camping is really back to basics, no electricity or bathrooms either. It is however a great experience, especially for children. 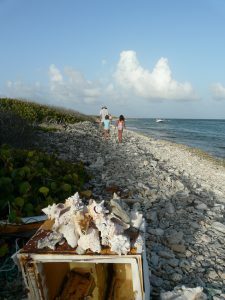 There’s nothing like roaming around an uninhabited island discovering the local wildlife, playing on the beach, snorkeling the crystal clear water and eating marshmallows under the stars. Click on the other tabs to check out what you can do and see on the island, and how to get there. 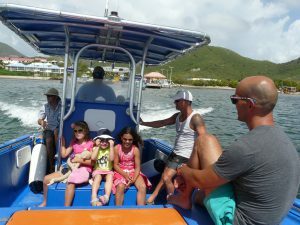 Captain Alan’s Three Island Snorkel Tour, they offer a 4 hour and 6 hour version of this power boat trip, the 6 hour one gives you more time to explore Tintamarre. Departure from Oyster Pond. Eagle Tours visits Tintamarre during their twice weekly Eco Around the Island tour on one of their spacious sailing catamarans. This is a full day trip and the stop at Tintamarre is around 1 hour. Departure from Philipsburg. 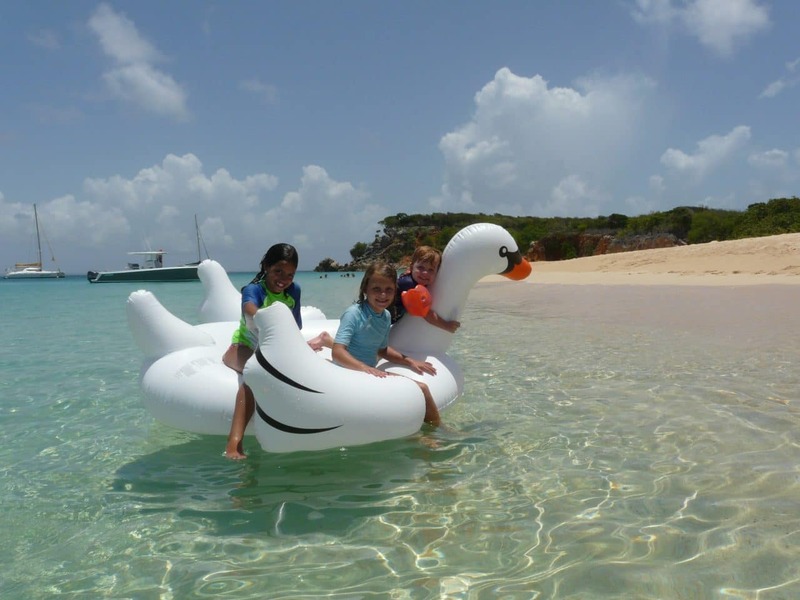 Soualiga Destinations offers a full day power boat trip which also goes around the entire island of St Martin, visiting Tintamarre on the way. Departure from Philipsburg. Cul-de-Sac. There is no regular ferry service to Tintamarre, but one of the boats bringing day visitors to another nearby island called Pinel, will also drop people off at Tintamarre, if reserved in advance. Contact us for the skipper’s phone number and Whatsapp. Depending on the size of the group the roundtrip is $25 to $40 per person. 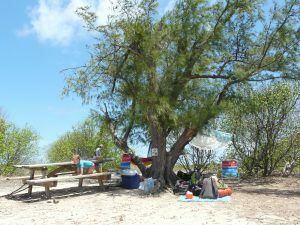 Apart from the beach and the trees which form a strip right behind the beach, the island has prickly shrubs and a rough limestone surface. Wear at least flip flops and better yet, sandals or closed shoes. 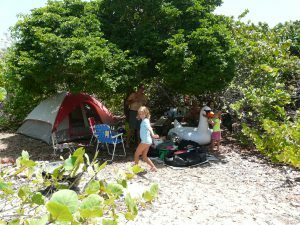 From the beach you will find a few gaps between the trees and bushes which will lead you to several paths to explore the island. One goes to the old house and the airstrip and following that one across the island you’ll end up at the East coast of the island which is a coral beach. 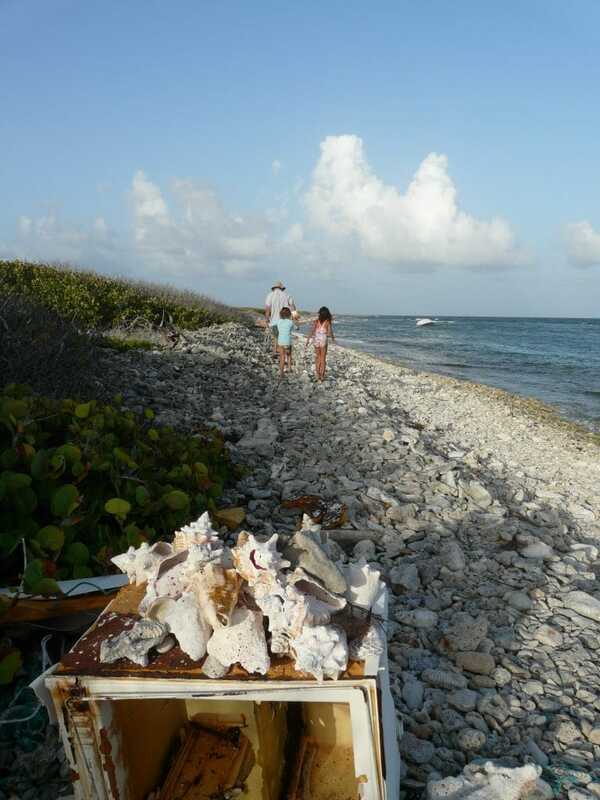 On the right hand side of the beach, you can find a trail going to the South end of the island where you’ll find a bay with nice limestone rock formations. 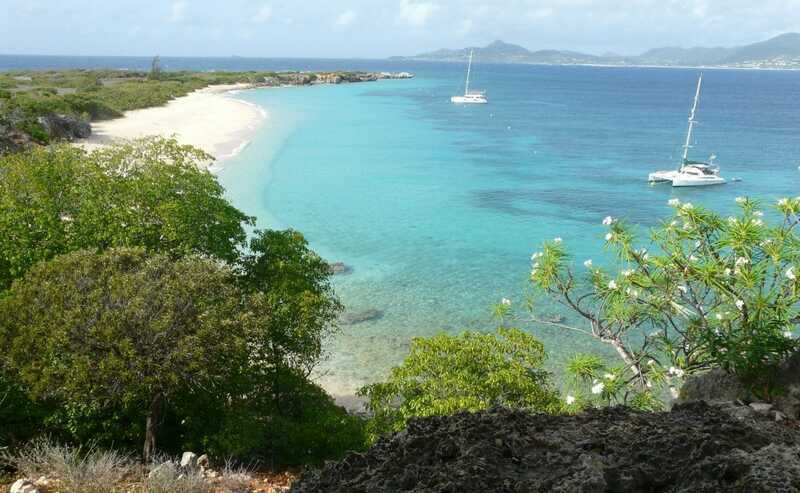 When facing Tintamarre you’ll see a cliff on the left side of the beach, it’s pretty steep and can’t be done when it has just rained, but a walk up the hill will allow for great views of the island and St Martin. The walks vary from 30 to 90 minutes. 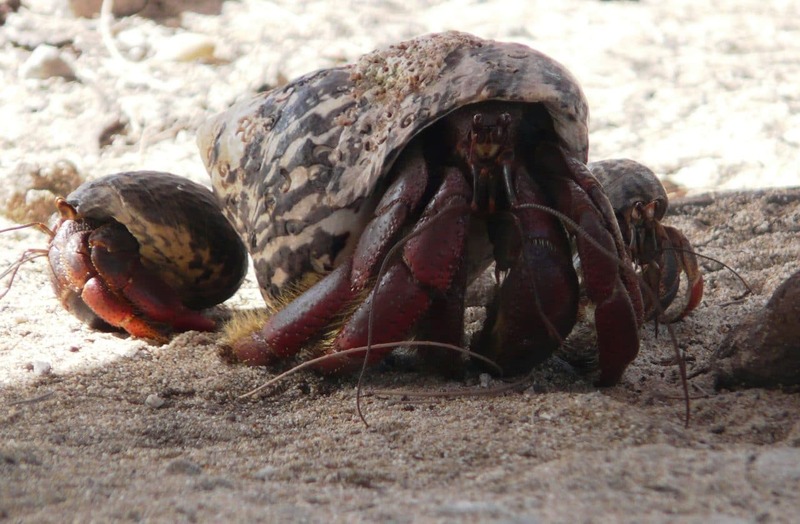 On your way expect to see birds, goats, lizards, tortoises and hermit crabs. There is not an awful lot to see when snorkeling in front of the beach. However, due to the healthy seagrass bed, there are Green Turtles hanging around, most chance of seeing them is when you swim up to one of the many mooring balls a little off the beach. For better snorkeling you’ll need to go to the right hand side of the beach (facing the water), there’s a shallow reef stretching out and away from the cliff there. Further around the cliff there is another bay with beautiful corals and lots of fish life, but that site is really best visited by boat and in calm sea conditions. Check the ‘How to Get There’ tab for the snorkel tour operators we recommend for visiting Tintamarre. 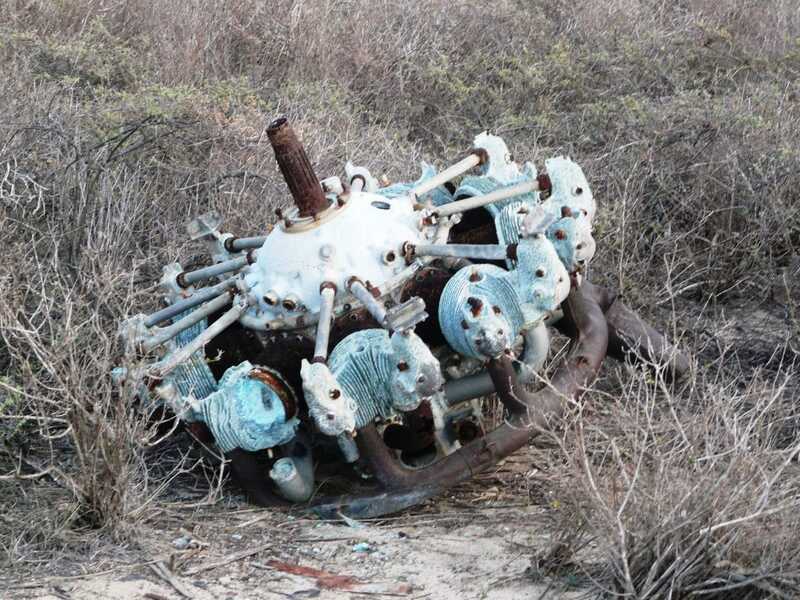 There is also a small tugboat wreck, between the two snorkel sites which is usually marked with a small white mooring ball for dinghies. Great for a little scuba dive off your chartered sail yacht. For scuba gear rental contact The Scuba Shop. Tintamarre is one of the few breeding sites in the region for the Red-billed Tropic bird. You will find them flying off and on the limestone cliffs on the right hand side of the beach. Follow the path you can find once through the bushes, to the South tip of the island, turn right when you’re at the T split off. Other birds which can be seen while sitting at one of the picnic tables between the trees are Caribbean Elaenia, Antillean Crested Hummingbird, Green-throated Carib, Pearly-eyed Thrasher, Bananaquit and more. From the beach Brown Pelicans, Brown Boobies and Magnificent Frigate Birds can be spotted. 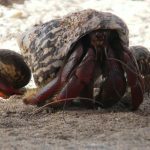 Lots of other wildlife lives on Tintamarre, such as sea turtles, tortoises and hermit crabs which are called Soldier Crabs in the Caribbean. 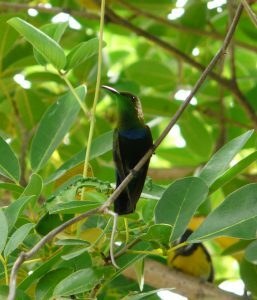 We’re happy to organize a day trip to Tintamarre for birding and snorkeling, check out our Private Tour section for more info.